INDIANAPOLIS -- When a juvenile is killed in the city of Indianapolis, police look to their social media accounts for clues. What they find, often, are pictures of the victim showing off stacks of cash and brandishing guns. But those pictures might not just be clues – they could be part of the problem. When 13-year-old Matthew McGee was killed in September, investigators found an image posted by a friend of McGee pointing a handgun into the camera. In April, when 15-year-old Sema-J Jordan was killed in an apparent robbery, police found images of him showing off stacks of cash. Investigators think Jordan was targeted precisely because someone knew he had money on him. Over the past three years, juvenile victims & perpetrators have made up an increasing portion of the city’s violence. This year was especially bad, with the number of juveniles charged with murder doubling from last year to at least 17. “From our perspective, it does seem to have ramped up a little bit this year in particular,” IMPD Deputy Chief Chris Bailey said. Part of that increase, according to Bailey, is the prevalence of juveniles bragging about criminal activity on social media. “So there is the challenge right? We obviously don’t have the resources to monitor every single person’s social media accounts,” Bailey said. That task falls to parents – many of whom may want to believe these pictures are just their kids play-acting. For Michelle Grays, the reality of the situation became all too real with her son. Grays said her son was already sitting in a courtroom by the age of 13 because he was caught with a gun. That was three years ago. By now, Grays says she’s been to court with him 28 times for being involved in gang activity. “I overlooked something. I let something slide. I let him get by with something that I shouldn’t have,” Grays said. 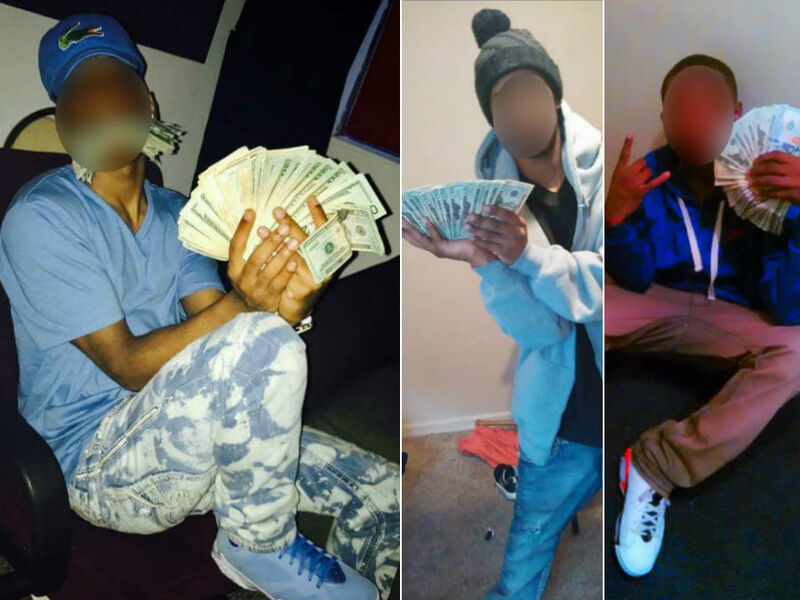 Above: Three juvenile homicide victims show off large amounts of cash on social media. Grays says parents have to acknowledge the role they played – but admits she’s struggling fighting the people in her own neighborhood. It’s an uphill battle for Indy’s schools, too. At Arsenal Tech, at least eight students or recent graduates have been killed since 2015. 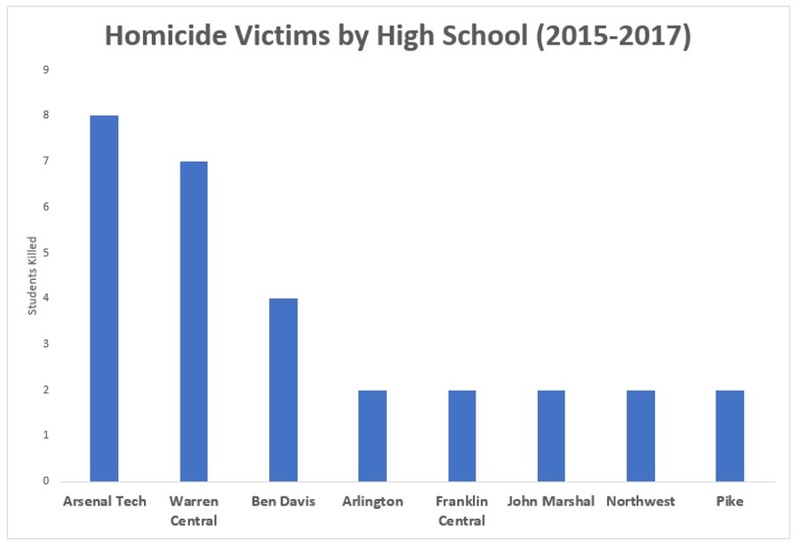 Warren Central has had at least seven students or recent grads killed over the same period. Debbie Winstone, a school social worker with IPS, says if kids are showing off pictures of themselves suggesting criminal activity, the school will alert police. Ultimately, the responsibility falls on parents and guardians. Police say if your kids start posting pictures of themselves with large amounts of cash – and especially with guns – take it seriously. While they might think they’re just showing off, the pictures may be making them a target for others who are all-too-serious.